One of the hardest things to do when getting any new event off the ground is managing the interaction with the attendees. From conveying the value of your event to designing attractive program activities, your main responsibility is to build an entire environment that will communicate with your guests. To ensure your event is a success, you must focus on building a relationship with your (potential) audience. This should happen at every step in the planning process. However, if don’t understand your audience, your efforts may fall short. An event has different types of attendees: simple assistants, famous influencers, employees, students, speakers, to name a few. Having numerous attendee categories (either professional or status-based) can lead to some difficulties when you’re trying to design a communication framework for all of them. You need to segment your audience. If you’re not familiar with the concept, audience segmentation refers to creating different categories of guests to diversify your action plan and give you a clearer understanding of your attendees’ typology, their needs, and what’s expected from them. Subsequently, you'll be able to increase your interaction efficiency. You can’t put everyone in the same box, thinking they’ll all enjoy the same marketing content or react the same way to your promotion campaigns. Your attendees may have different professional statuses, unique attendance interests, or distinct areas of expertise. If you think you can craft an event e-mail marketing campaign that can impact everybody in one shot, by all means, give it a shot and see how that goes. Chances are you’ll end up sending a bland, generic message that will have little to no impact over the potential assistants, and they’ll be completely uninterested in your event. What you should do is segment your event audience and craft personalized marketing messages for each type of guest. As you move forward in planning and managing the event, you may need to launch information email campaigns that are for a specific segment (for example, students). What you’ll do then? You can’t bother all your attendees with a message that is dedicated to a mere handful of them. By segmenting your audience and having different type lists, you can decide what category of attendees will receive your event-related notifications or updates. Will you need the same information from all of your event participants, or maybe you’ll prefer to ask different questions to different attendee categories? For example, let’s say you decide to plan a cocktail dinner for VIP guests. Obviously, you’ll want to ask these people to confirm their availability to attend this special experience on the registration form. You won’t want to prepare a general registration form with this question, because the cocktail dinner is not an option for all of the guests. By mentioning it on a general form, you may cause other guests to feel left out or alienated, or you may also cause some people to think they are invited, and then you have to go through the awkward ordeal of explaining the dinner is just for the VIP guests. What you’ll want to do instead is build a personalized form just for VIP assistants. To make this happen, you’ll need to segment the audience and start by defining these categories in advance. A student usually has less to spend than a businessman; however, your event may be designed for both attendee types. Segmenting your audience will allow you to establish different registration fees and, if applicable, offer coupon discounts. It may be the case that not all of your event’s dynamics are suitable for everyone attending your event. Some people may be interested in specific workshops, while others may be attending just for the B2B networking activity. 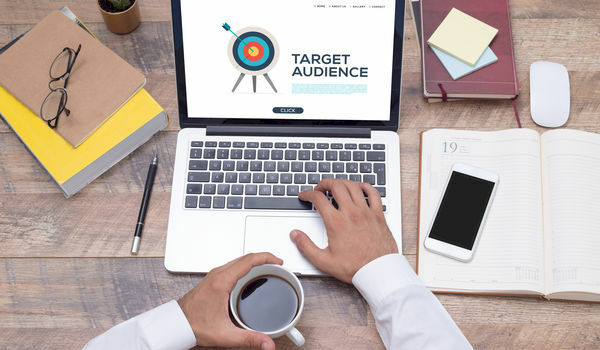 Segmenting your audience gives you a better understanding of everyone’s needs and will let you customize the event agenda by offering both general and personalized activities. Let’s say you’re planning an exhibition. You have the exhibitors’ area, a space for B2B networking, and a knowledge area with several rooms and simultaneous conferences. You can assign attendees access right to different areas based on their segmentation. For example, you may have attendees who are exhibition visitors only. Others may have the right to visit both the exhibition and the knowledge sessions, while the third category of attendees may have access to all areas, including the networking space. By segmenting the event audience into specific groups or categories, you’ll diversify your options and cut the efforts of successfully managing your interaction with attendees in half. Audience segmentation is all about building a strategic vision for your event. If you can correctly determine the guest categories, then you can also put a well-defined plan into action that will boost the efficiency of your planning work.